Do you want more money in your life? Are you tired of being broke and not having enough to do the things you really want to do? Dr. Michael J. Duckett shares the 5 basic principles you need to know for breaking the money barriers in your life. Watch this video for more information on the 5 basic principles and how to implement them in your life. 1. Decide exactly how much money you want. Be precise. 4. Give a little bit of your money away on a regular basis. 5. Be thankful. Whatever you give gratitude in life will grow. Look for ways to give gratitude for your money. Hunt for ways to give gratitude for money throughout your day. Whether you find a penny or get your paycheck. Don’t sit around waiting and wishing for money. Wishing makes you feel worse. 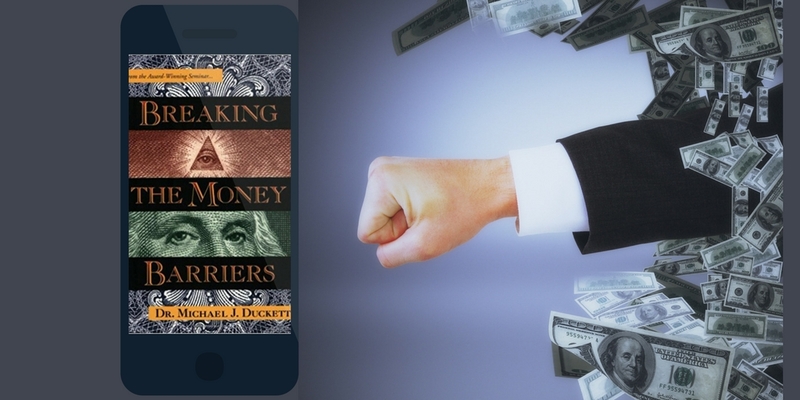 Find out more about Breaking the Money Barriers in Dr. Michael J. Duckett’s Book, Breaking the Money Barriers.